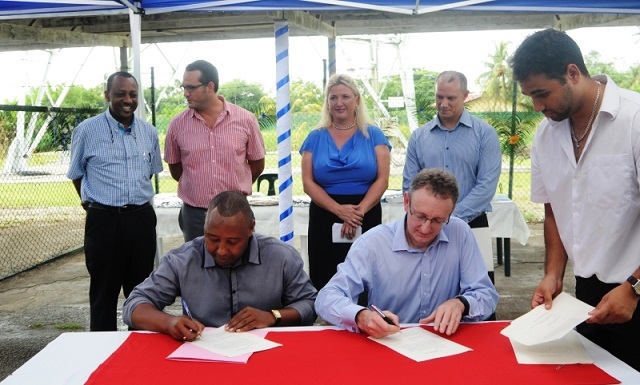 (Seychelles News Agency) - Tuesday November 18 marked the closure of an iconic chapter of Seychelles’ history, signalling the end of an era when information was much more difficult to come by. With much of Africa joining the internet and mobile phone revolution, the times of trying to glean information about happenings in the rest of the world on a crackly AM radio station have now passed by. Over 25 years after its establishment, the site of the BBC’s former Indian Ocean Relay Station (IORS), located at Grand Anse, on the western side of the largest inhabited island in the archipelago, was handed back to the government of Seychelles by the country’s British High Commissioner, Lindsay Skoll. The station transmitted BBC World Service programmes since 1988 via shortwave to listeners across East Africa in a range of languages, including the BBC's English-language output for Africa as well as programmes in Swahili, Kinyarwanda, Kirundi, Somali and French. In November 2013, the BBC announced its intention to cease all its shortwave transmission services from Seychelles due to a gradual and irreversible fall in demand for shortwave radio services, and on March 29 this year, the BBC IORS retransmission services from Seychelles were officially switched off. BBC World Service broadcasts in East Africa are still available via the internet and also via various other localised frequencies. The handing over of the site to the Ministry of Land Use and Housing (MLUH) also included the station’s buildings and equipment, all of which are still in working order. The site is spread over a 32,000 square metre property, occupied under a lease dating back to March 27, 1985. Speaking at the handing over ceremony yesterday, High Commissioner Skoll said the relay station had brought the services of the BBC to parts of the world that really needed it. 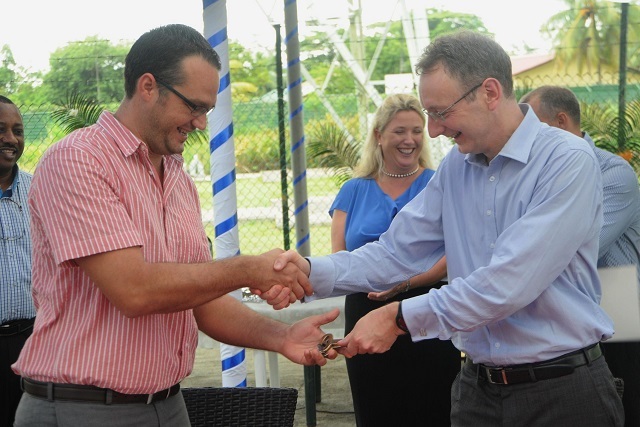 The Chief Operating Officer of BBC World Service Group, Richard Thomas, thanked the people of Seychelles for the 25 years of smooth operations, adding that the station’s assets have remained in good condition due to the diligence of the local staff and the station’s operating team. “The BBC has been very proud to be broadcasting from Seychelles for 25 years and we have covered some huge stories and broadcast them into Africa in particular – obviously the Gulf war, the death of Nelson Mandela – those are some of the events we have been proud to broadcast across Africa and to other parts of the world,” he said. 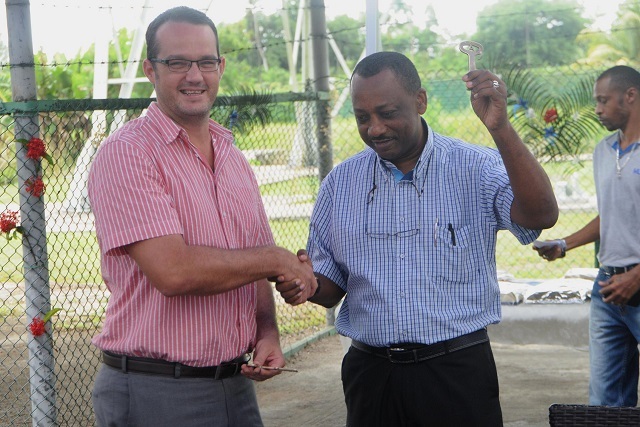 Seychelles' Foreign Affairs Minister, Jean Paul Adam, said that just as the station had served an important international cause during its years of operation, it would now serve as an equally important national cause: that of agricultural development, where in a small island state such as Seychelles, the minister pointed out that every square metre counted. Now that the site has been officially handed back to the government, MLUH has divided the assets among four local institutions. The Ministry of Natural Resources will take up occupation of the main station building for use as the new Veterinary and Livestock Services centre, which used to be situated at Union Vale, close to the capital city of Victoria. The relay station site was situated on land formerly used by farmers of long tradition right up until the site was allocated to the BBC in the mid-1980s, and the flat area is likely to see a return to that tradition. Currently, the immediate surrounds of the site consists of a national pig genetic centre, a newly-constructed soil diagnostic laboratory, the national agricultural inputs bulk store, office buildings belonging to the Ministry of Natural Resources and some livestock farms. A small government-built housing estate of 18 flats and a natural wetland of significant ecological importance also surround the area. The Minister of Natural Resources, Peter Sinon, described the decision to allocate these assets to agricultural development as testimony of the government’s resolve to revive agriculture in Seychelles. Dr Christelle Dailoo, the Director of Livestock Services at the Seychelles Agricultural Agency (SAA), told SNA that there are plans to develop laboratory services that will allow SAA to perform livestock laboratory testing that could not be offered to farmers before and that were being sent overseas or to the public health lab. 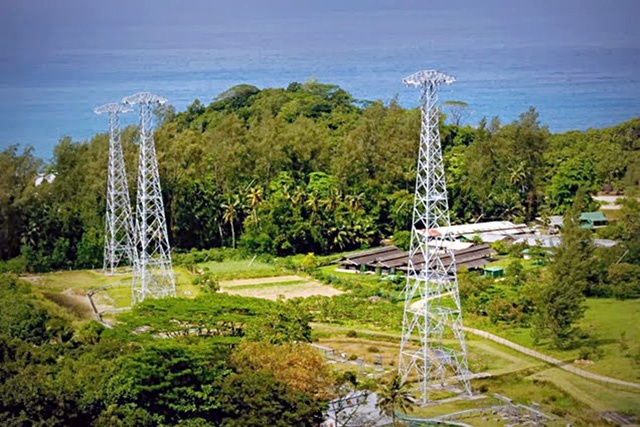 The station is equipped with 33KV high-voltage equipment and transformers which will now go into the possession of the Public Utilities Corporation, while the Seychelles Civil Aviation Authority (SCAA) will take over three of the BBC’s four steel communications towers and the annex building. 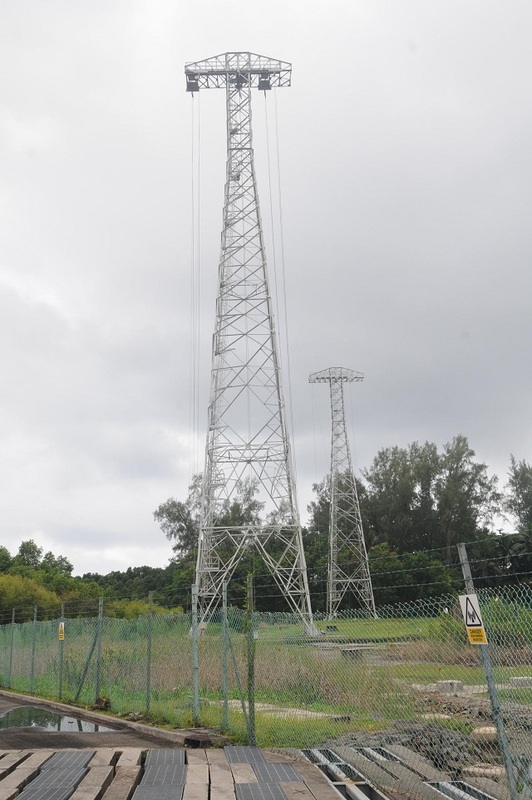 The SCAA will use the towers to strengthen its air communication and surveillance capabilities and the annex building will be used to house a new high-frequency aviation communications radio system to help control air traffic coming in from the west of the island. The fourth steel tower will be allocated to the local telecommunications company Cable and Wireless for mobile based telecommunications.